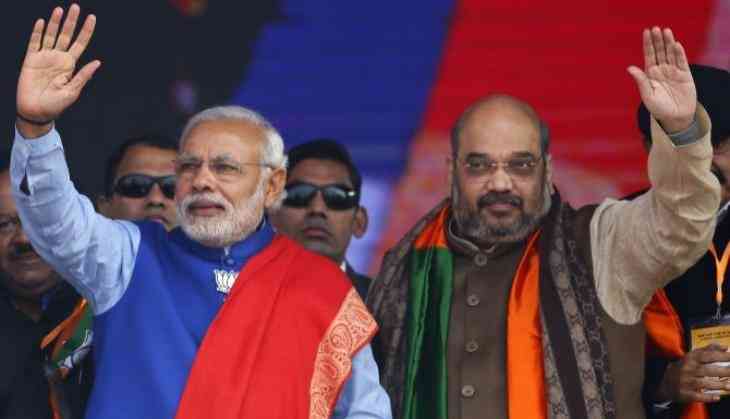 While announcing the much awaited candidates list for the Lok Sabha polls, BJP has finalised 182 names and further denied poll tickets to two Union Minister and six parliamentarians from Uttar Pradesh. The BJP has denied tickets to Union Minister Krishna Raj, and National Commission for Scheduled Castes chairman Ram Shankar Katheria for the upcoming polls. In the first list of 184 candidates, some leaders who were decimated in the ‘Modi wave’ in 2014 have been granted another chance. Union Minister Smriti Irani, who unsuccessfully contested the 2014 polls from Amethi, against Rahul Gandhi has been again fielded by the BJP from the same constituency. Other BJP parliamentarians being denied the poll tickets include Anshul Verma from Hardoi, Babulal Chaudhary from Fatehpur Sikri, Anju Bala from Misrikh and Satya Pal Singh from Sambhal. Earlier, PM Narendra Modi who contested from Varanasi and won 5.8 lakh votes had defeated AAP convener Arvind Kejriwal who could garner 2 lakh votes. Whereas Home Minister Rajnath Singh won around 5.6 lakh votes and defeated then Congress leader Rita Bahuguna Joshi by 2.7 lakh votes. In the first list in Uttar Pradesh, some candidates who received the tickets are as follows: Raghav Lakhanpal (Saharanpur), Sanjeev Kumar Baliyan (Muzaffarnagar), Kunwar Bhartendra Singh (Bijnor), Rajendra Agrawal (Meerut), Satya Pal Singh (Baghpat), Vijay Kumar Singh (Ghaziabad) and Mahesh Sharma (Gautam Buddh Nagar). The General election is all set to begin from April 11 and the results are scheduled to be released on May 23. The current Lok Sabha’s term ends on June 3.